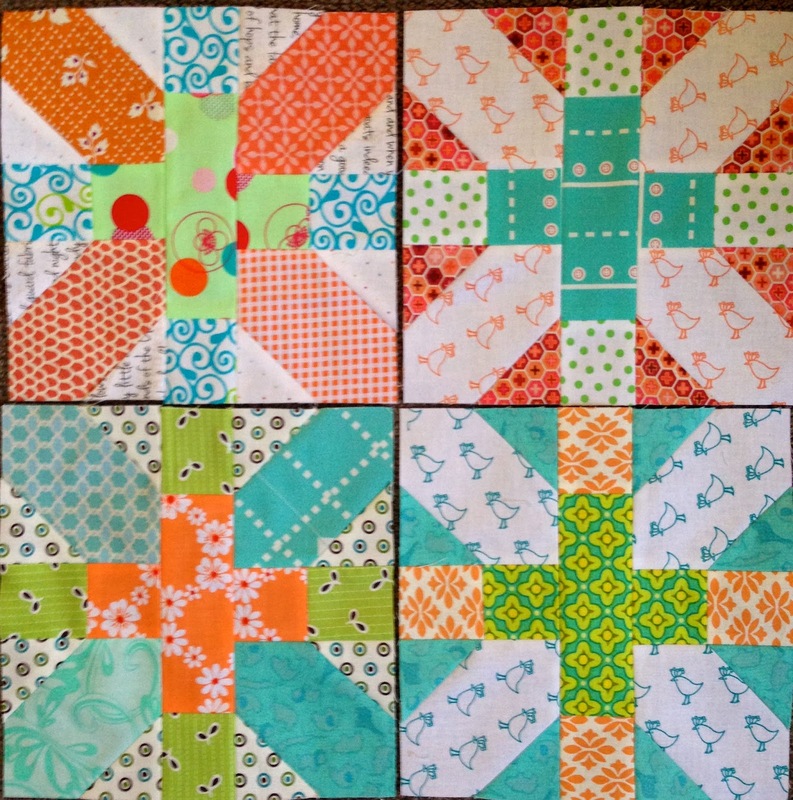 Patchwork n Play: February Friends! in my post box from Carla this week! to the fabric placement this time? I do like the effect! I don't think you'll have any trouble with a layout , these blocks will look great together any which way. They look wonderful!! Wow, your colours look amazing together. So summery. I love how you've changed the colour placements in the blocks. Will do a post about mine today. Ohhh! I do like it too! Gives it movement! Fantastic, Susan! What a fun project, the colors look great. This month color way is so cheery! Love it. As I mentioned on Elizabeth's post, I am enjoying living vicariously through others with this swap. Yes - these are really pretty blocks! I love the color combination you've chosen for this month! 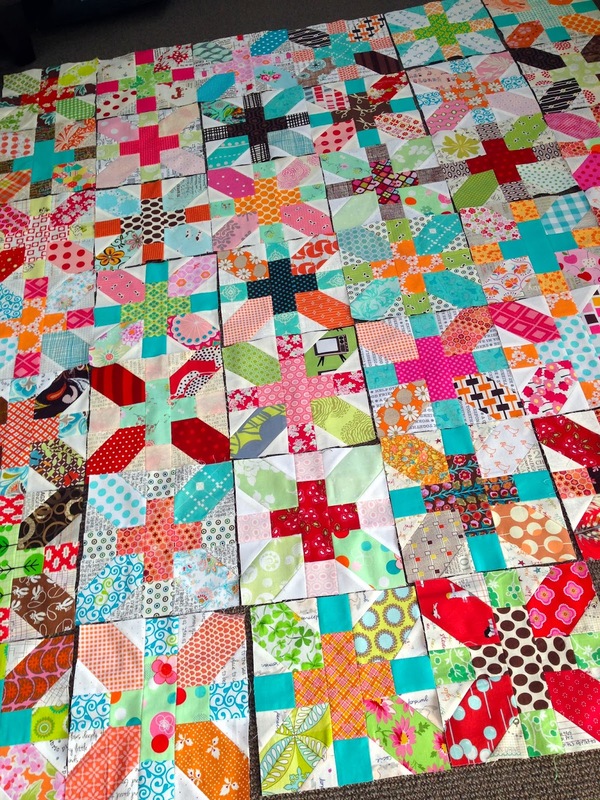 And all the blocks together are so lovely too! Each addition to the mix makes it more and more interesting! These February blocks are wonderful. You girls are having so much fun! 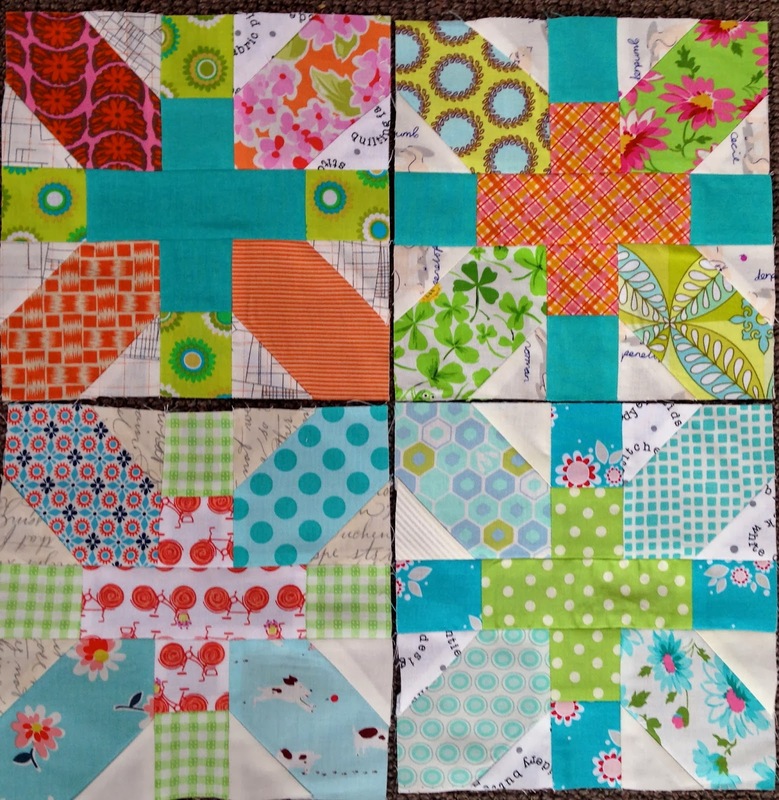 I love the changes you made, it will add interest to your quilt. Great fabrics, makes me think Spring! They look great. You cannot have too many left to do now. Won't that be fun to put together!!! The layout should be pretty easy, they all play so nicely together. Looking fabulous. Oh how pretty! 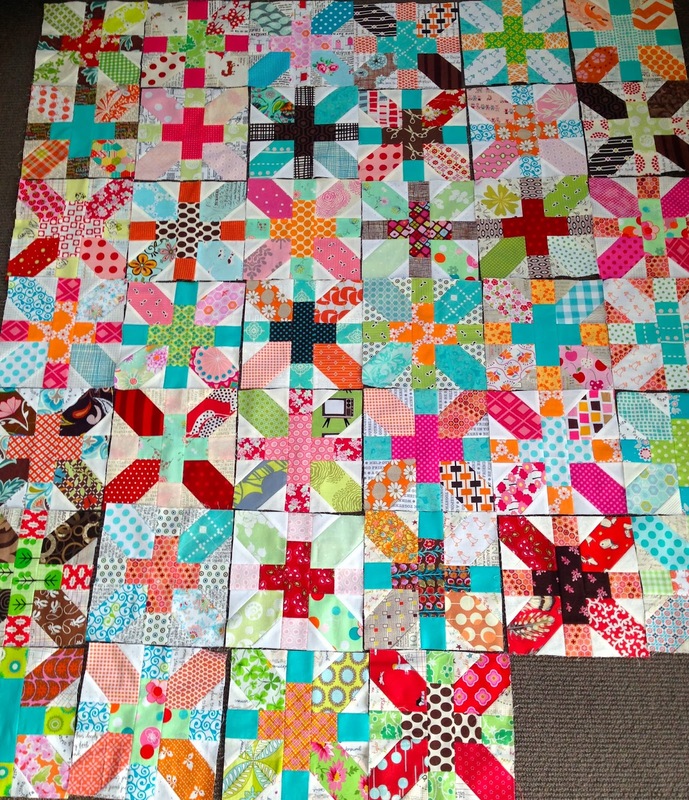 Those gorgeous blocks are going to make one very cheerful & beautiful quilt. You are gathering a wonderful collection of blocks. They are looking great! It's always fun to see everyone's Cross-X blocks and to see how the collection of blocks is progressing. 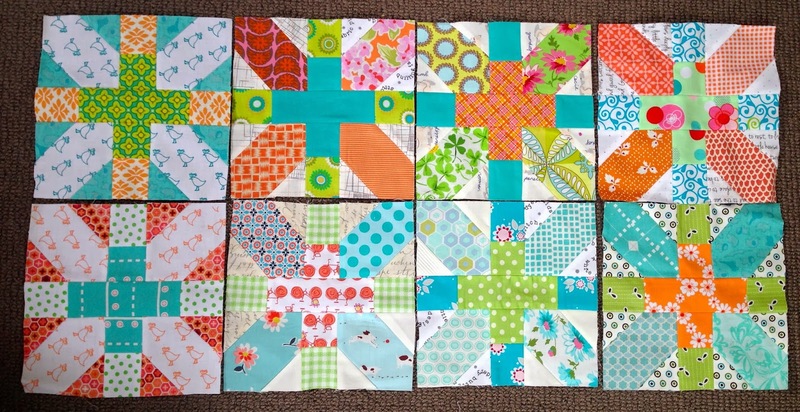 I need to get started on my March blocks, and may steal some of your color ideas for these "springtime" blocks. Beautiful! Absolutely love them!!! Some of the best so far that you have made. I just love the colors and fabrics you've used. These blocks are just beautiful!